Shanghai: Financially troubled Sainty Marine has announced that bank accounts of the company have been frozen by two banks. According to the company’s announcement, Bank of China has frozen an account of the company with a balance of RMB1.05m ($169k) while China Exim Bank has frozen a dual currency account with a balance of RMB22.99m ($3.7m) and $2,491. The comapny said it hadn’t received any notice from the banks and is currently checking with them the reason for the freezing of the accounts. 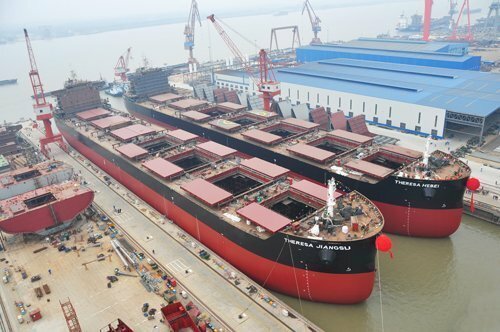 Sainty Marine reported last week that it has RMB357.3m ($57.5m) worth of loan payments in arrears, and that a court froze RMB300m ($48.42m) worth of assets of three major shareholders of the company due to its inability to repay loans to Bank of Jiangsu.